Are you looking for one of world’s best destinations for your next warm-weather getaway? Nilaveli Beach is one of most spectacular, charmed and beautiful beaches in Sri Lanka, among an infinite number of beaches around the world, which immediately envelops you in natural splendor to spend your holiday in a sandy spot. This finest unspoiled beach offers great experience to the travelers with pristine white dusty calm waves, wide sand, the abundant displays of marine life around Nilaveli Beach and picturesque sights. The admirable and attractive Nilaveli Beach lies about 275km away from Colombo city and is located about 15km north of Trincomalee, Eastern Province of Sri Lanka. This amazing beach is well known for one of the cleanest sand beaches in Asia as well as one of the purest white sand beaches in Asia. Nilaveli Beach is one of Sri Lanka’s ideal places for travelers to have crystal blue sea water bathing due to calm waves. And this magical east coast shoreline is popular for sun baths, sea bathing, surfing, snorkeling and diving. Though all water activities on Nilaveli Beach can be enjoyed throughout the year, it is crowded from April to October by thousands of both local and foreign beach lovers. While plenty of bending palms over the golden sand enrich its’ beauty, this untouched premier beach is a perfect destination for having Scuba diving, fishing, whale watching activities and other various water sports. Therefore, Nilaveli Beach is one of best travel destination and a tropical paradise in Eastern province, Sri Lanka to spend your holidays and leisure times that impressing yourself with fine sand and tranquil blue waters, while relaxing at best and affordable Hotels & Accommodations in Trincomalee, out of all-inclusive Hotels in Sri Lanka, which are culturally and architecturally distinctive, featuring a variety of food, music and live entertainment. 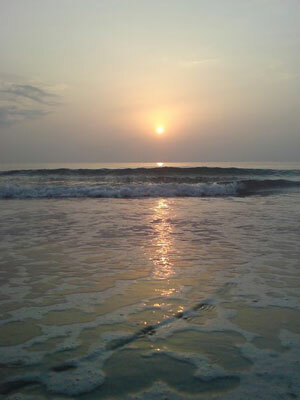 And, not only this captivating destination, but there are many other attractive beaches can be discovered and enjoyed in Eastern Province also, including Kalkudah Beach, Arugam Bay Beach and Pasikuda Beach. Don’t miss to add all these spectacular destinations in Eastern Province, Sri Lanka, that gives an unforgettable pleasure!